Oli is the Centre Manager of our new Bristol FE centre. 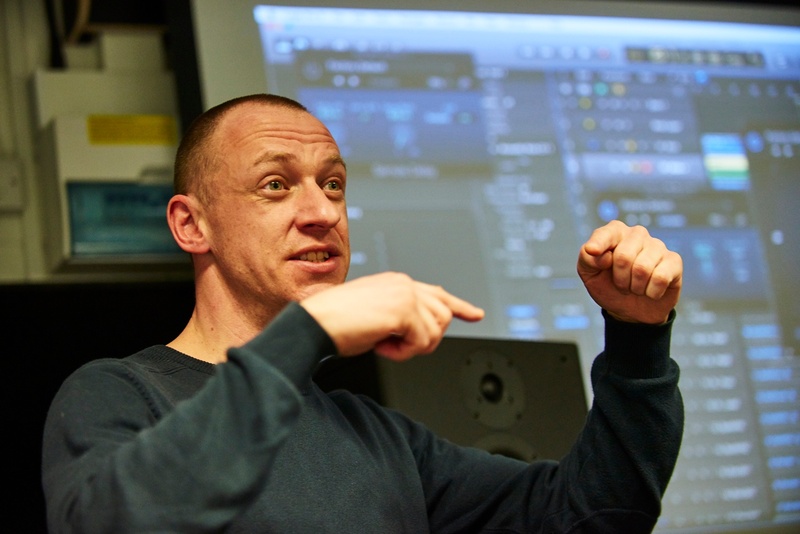 Oli specialises in synthesis and sound design as well as teaching programming and sound manipulation. His work in the industry feeds into his lectures and he continues to inspire others with his production skills and enthusiasm for creating killer tracks! Over his many years in music, Oli Brand AKA Beaka has crafted a reputation for blurring boundaries in his sets, moving across genres with little effort and dropping tracks that simply weren’t on the radar of most other DJs. Having made a name for himself solely as a DJ in the late 90s with residencies at Lakota and The Depot in Bristol, he signed to Blipped Out in 2004 and released a succession of EPs and remixes on a host of other labels including KSS Records, Dead Famous, Aux and Lot 49. Under the name Beaka, Oli has signed to Canadian label Infinite Machine and is an exercise in coaxing out the multilateral efficacy of UK bass. He has remixed for Bloc, Discos Dead and Heretic, getting support on Radio 1 and 1Xtra from Monki and My Nu Leng plus XLR8R and a host of European DJs! Discover dBs Music's range of diplomas and our Bristol FEcentre and find out more about how our tutors and facilities at dBs Music can help you get qualified for the music industry.